A group of 23 Haywood High School DECA students attended the State Career Development Conference for business and marketing competitive events March 8-10 in Chattanooga, Tennessee. 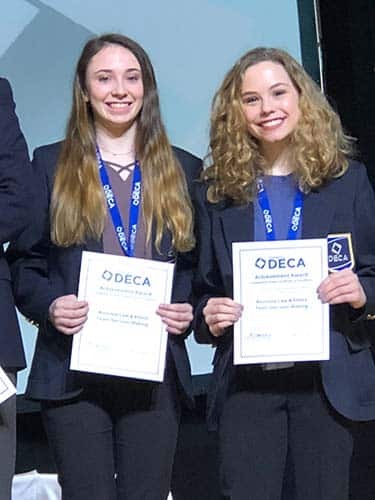 Juniors Bendy Yuan Zhao and Leslie Fox placed 1st in Role Play and 2nd overall in Entrepreneurship Team Decision Making, advancing to compete at the International Career Development Conference (ICDC) April 21-24 in Atlanta, Georgia. Two other teams were finalists in their respective competitive events: Seniors Dominic Gaietto, Sujey Gaspar, and Junior Acayla Palmer in Public Relations Project with their project promoting EPSOs (Early Post-Secondary Opportunities) to HHS Students and the community; and Freshmen Elizabeth Kirby and Molly McCage were finalists in Business Law and Ethics Team-Decision Making. Elizabeth Kirby, Molly McCage and Chaoyue Yuan earned allocations to attend the Thrive Academy at ICDC. 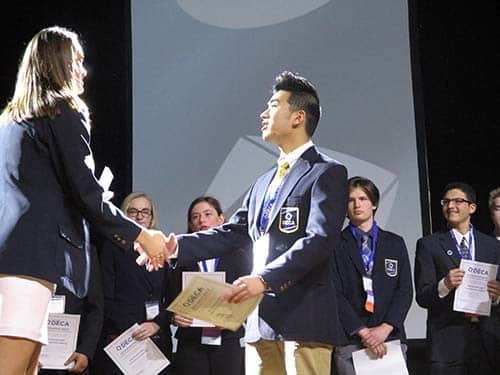 DECA’s ultimate competition is International as it includes DECA competitors from all 50 states as well as the District of Columbia, Canada, China, Germany, Guam, Mexico, Puerto Rico and Spain. HHS DECA students attending will be participating in fundraisers to cover expenses to attend this conference. 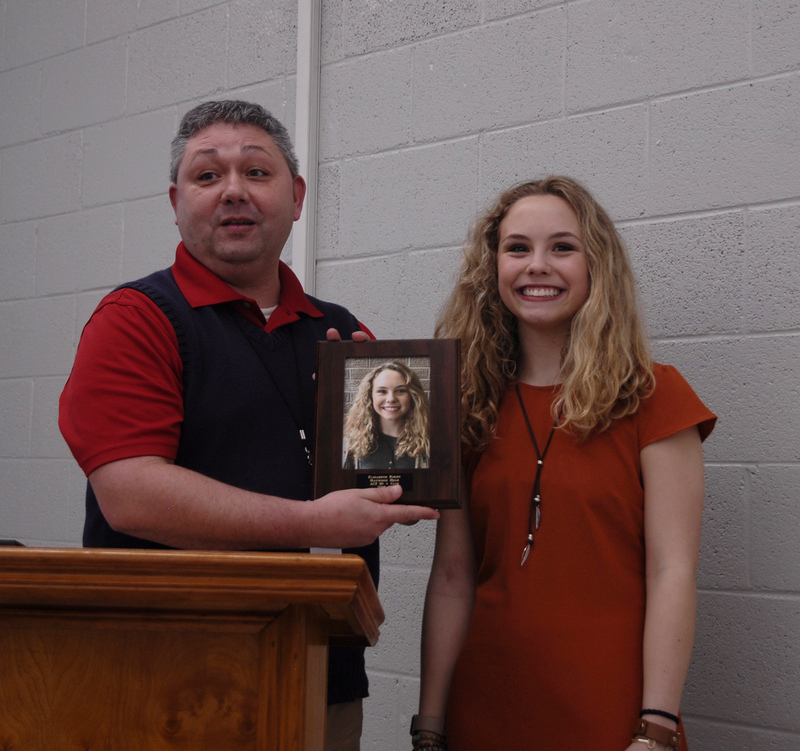 Julie Davis is the sponsor for the HHS DECA organization. DECA is an international organization for high school and college students interested in business and marketing. DECA prepares emerging leaders and entrepreneurs for careers in marketing, finance, hospitality and management. They emphasize competence, innovation, integrity and teamwork.